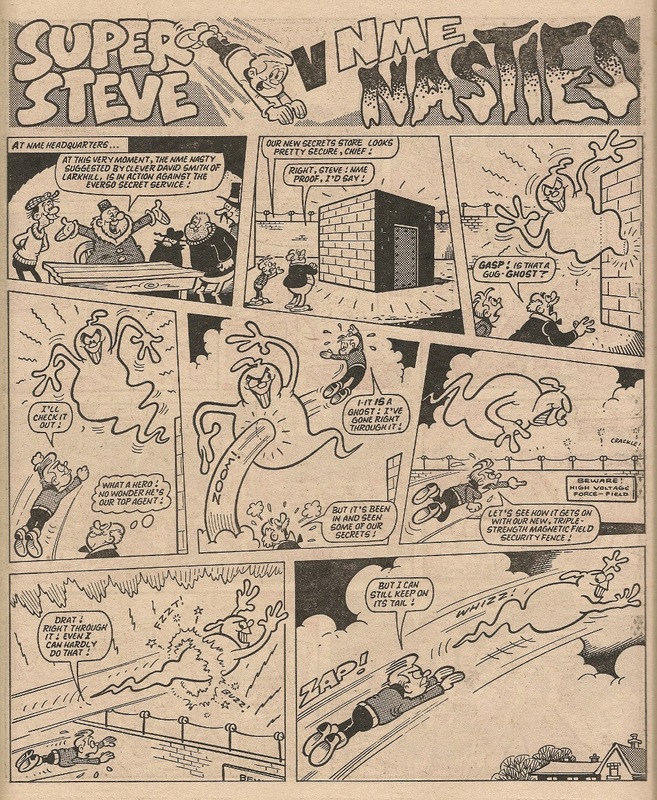 Since its inception Whizzer and Chips styled itself as 'two comics in one', and messages to readers from Sid (leader of the Whizz-Kids) and Shiner (head Chip-ite) within its pages encouraged a friendly rivalry between those who preferred Whizzer and those whose taste leaned more towards Chips. A weekly notice advised kids that the two comics could be separated by careful manipulation of the staples, but I doubt many readers did that on a regular basis. 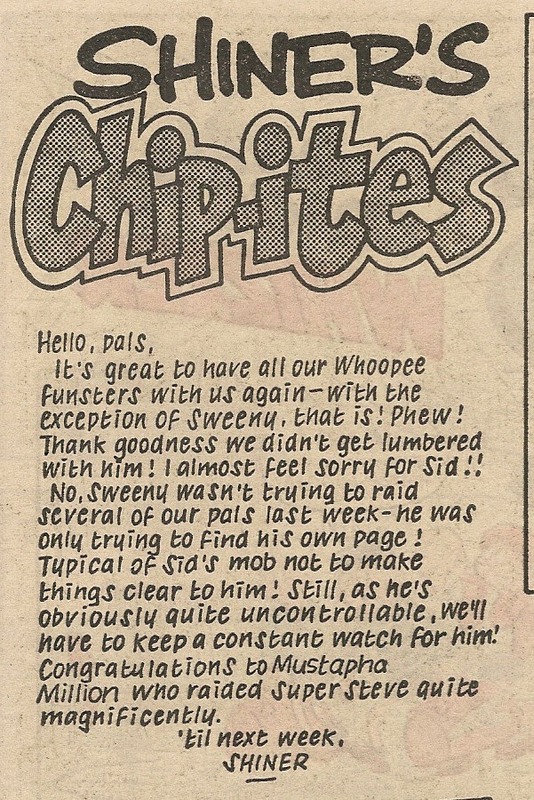 By the time Whoopee merged into Whizzer and Chips, the latter title had established a long tradition of 'raids', whereby a character from one section of the comic would make an unexpected appearance (by means of a cut-and-pasted image) within the pages of the other. In this new series of posts I'll be documenting the raids involving the ex-Cheeky Weekly characters, either as perpetrator or victim. 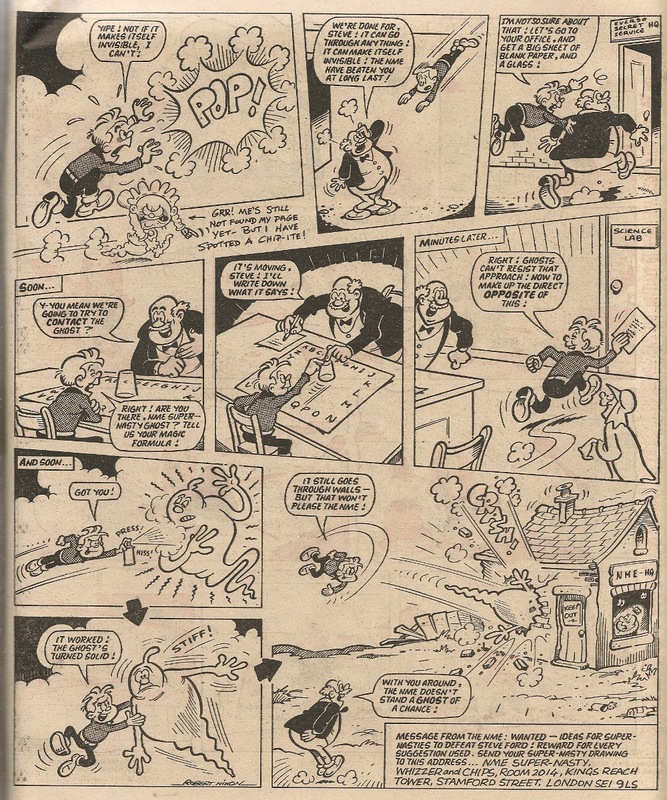 Mustapha Million and Calculator Kid were the two features that originated in Cheeky Weekly and survived into Whizzer and Chips as regular weekly strips, with Stage School making only two appearances after the merge. The gimlet-eyed among you couldn't have failed to notice Sweeny Toddler gatecrashing the strip and exposing the invader, but as made clear by Chief Chip-ite Shiner this wasn't a raid, the terrible toddler appeared on several pages of both sections in that issue (but not on Mustapha or Calc's pages) as he sought out the location of his strip. It turned out that his adventure appeared on the back page in that edition, but Sweeny subsequently deposed Sid from the prestigious front-cover slot he had previously shared with his serpent sidekick Slippy.